People don't spend as much for Easter as they do for Christmas/Hanukkah, Valentine's Day, or even Halloween, but it is still definitely seen by retailers as a time to push candy, flowers, stuffed animals, spring fashions, and spring décor (especially tableware). Wallethub.com estimated that $18.2 billion would be spent on Easter in the United States in 2018. Like Christmas, Easter is supposed to be a religious observance, but in America our faith often seems to be placed in money and possessions, rather than in God. We are devout consumers. Many of the 71% of Americans who identify themselves as Christians will give more thought to new church clothes, Easter table centerpieces, and full Easter baskets (even if they include a chocolate cross) than they do to the reason for the celebration. Whether or not you believe in the bodily resurrection of Jesus Christ after His sacrificial death on a cross, you may still enjoy celebrating Easter as a time of renewal, hope, and love for family and friends. As a minimalist, you don't want to acquire a lot of unneeded stuff that may have to be decluttered later, so you'll want to find ways to mark the occasion without defaulting to shopping mode. How? 1. Keep Easter baskets simple. Don't buy the prepackaged baskets that are usually filled with junky toys and low-quality candy. If you don't have baskets saved from last year, consider buying a bucket that can be used for beach play later this summer. If you have some, shred green printer paper and construction paper to use as filler (it's recyclable too). Use moderation in your candy purchases. If you want to include gifts, think about crayons, sidewalk chalk, card games, bubble solution, origami paper, and other items that will actually be used and used up. 2. Be practical about clothing purchases. If you don't typically dress up, then investing in dressy clothes doesn't make much sense, especially for children who grow so quickly. Check consignment shops and thrift stores if you must have Easter outfits, but choose basics that can be dressed up. A cute sun dress, casual and perfect for a lot of use this summer, can be paired with a cardigan for Easter. A pair of khaki or navy pants or shorts can be paired with a collared shirt, and both can be worn again. 3. Plan an Easter egg hunt. Dye hard boiled eggs naturally with beets, red cabbage, yellow onion skins, and turmeric, or simply color them with crayons or colored pencils. Later you can use the eggs for Salad Nicoise, or simply mash them with a bit of Dijon mustard, salt, and pepper and serve them on some good whole grain toast. Even if you're not a believer, attending a religious service can be a worthwhile experience. 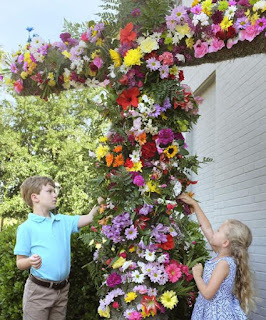 Most churches will have special music and even dramatic presentations for Easter, and the sanctuary will usually be beautifully decorated with flowers and banners. And if you pay attention, you'll probably gain some food for thought as well as some inspiration for the week ahead. 5. Don't fuss over dinner. Roast chicken with lots of vegetables for a delicious one-pan meal. Make a lemon cake for dessert and serve it with fresh strawberries if you can get them, or a thawed frozen berry medley (strawberries, blackberries, raspberries, blueberries) if you can't. Pour Martinelli's sparkling cider into stemmed glasses. Set the table with your regular dishes, a lace or pastel tablecloth if you have one (mine is leaf green), and use some of your favorite house plants for a centerpiece. If you have a flowering tree or bush in your yard, cut some stems to fill a vase, or buy a bouquet of tulips from the grocery store. Place colored eggs or some jelly beans in among the plants. Stores try to sell the season, displaying warm weather clothes and factory-made spring décor in January. But nature isn't in the stores! Go play with your kids in the local park, or take a bike ride. Visit a local hiking trail. Take your time and look for interesting rocks or spot some birds. Gather wildflowers in a basket and press them for homemade greeting cards or botanical art. Notice new leaves, clouds, spiders' webs. If you live near pastureland, look for lambs, calves, and foals. Whether it's sunny or raining, daylight hours are longer and the world is awakening. Pay attention! 7. Start a gratitude journal. It's easy to focus on the problems and disappointments in life. Change that with a notebook, a pen, and some quiet time. Think about people who have helped you, an opportunity before you, a specific comfort or beauty that you appreciate. Make it a habit to list some of these every morning and evening. The practice of gratitude will change your life. How will you celebrate Easter this year? Please share in the comments below.